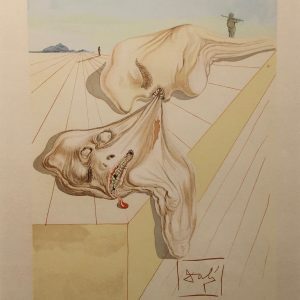 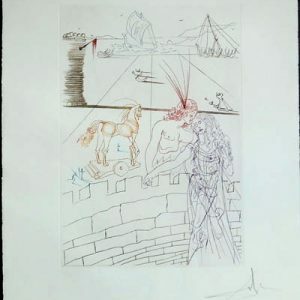 This cooperative lithographic print (a print that has met three conditions – it was intended by Dali to be made into a print, the artist supervised the process, andpersonally signed the result) was created by Salvador Dali in 1979. 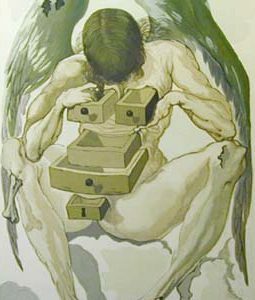 The lithograph is printed on a pearlescent Japon paper in an edition of 150 images. 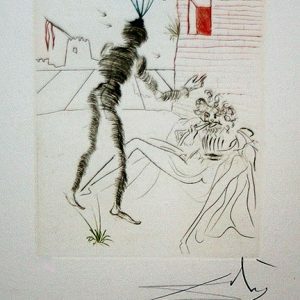 This work is numbered I-119/150. 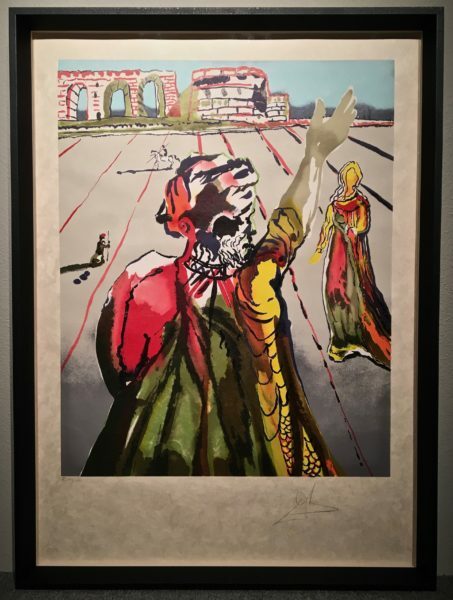 This work of art is conservationally framed with all archival materials and is accompanied by a certificate of authenticity.